If you were old enough 14 years ago to remember the events of this day, you probably know exactly where you were and what you were doing. It was a Tuesday, and since then, we’ve seen many Tuesdays come and go. The photos of all those who lost their lives on this day in 2001 slowly faded with time and fell from their places on cement walls and bulletin boards. The phrase “Never Forget” is often seen and heard on this day, only to go away again until next September 11th. All of those who perished on 9/11/01, their families, friends, and colleagues have a story to tell… and some of those stories have been told many times. Some stories may never be. 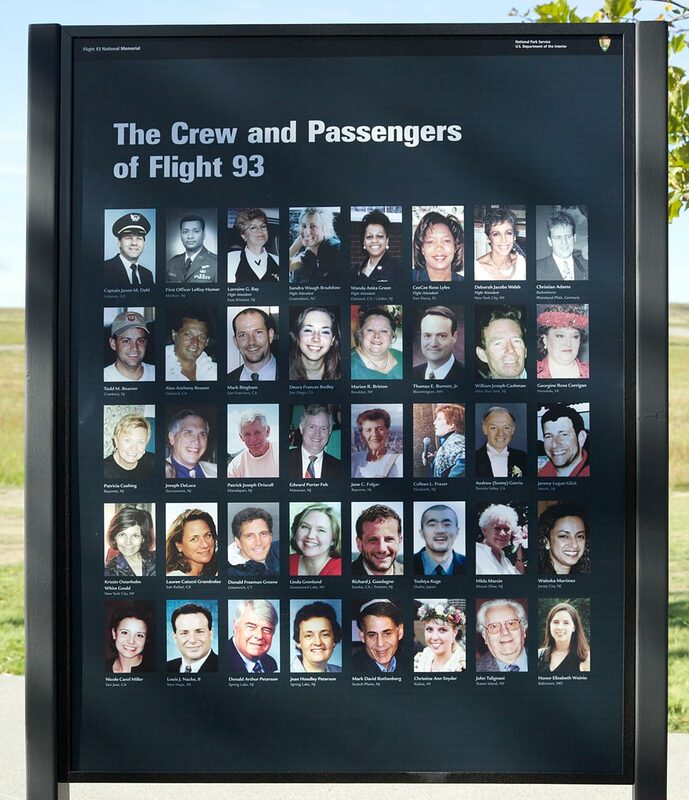 When it comes to the passengers and crew that boarded Flight 93 on that fateful morning, the names that usually come to mind are Todd Beamer, Mark Bingham and Tom Burnett. They were the men who decided to lead the other passengers in an attempt to re-take their airplane from the terrorists. As a result of the last heroic efforts of many of the passengers, Flight 93 is the only plane that never made it to its intended target, which is now believed to have been the U.S. Capitol building. Time and space doesn’t permit a complete list, but here are a few more: a veteran of Operations Desert Shield and Desert Storm who later flew humanitarian missions to Somalia (First Officer Leroy Homer); a college-aged Japanese national who was headed home after having visited such American icons as the Statue of Liberty and Niagara Falls who traveled alone so he could immerse himself in the English language (Toshiya Kuge); the Purser on Flight 93 (Deborah Jacobs Welsh) who had more than 25 years of experience in the airline industry. Deborah was known for her compassion that she showed to the homeless who lived near her Manhattan neighborhood when she would bring them leftover airline meals and warm winter clothing. These are just some of the 40 people who, when they saw evil face-to-face, didn’t sit around asking why the terrorists hated them. They didn’t form committees to try to analyze the evil before them. Time wasn’t on their side and they knew it…and they acted. The passengers and crew of United 93 could be considered some of the first civilian heroes of the modern-day War on Terror (a term our current president no longer uses). The world has gotten even more dangerous in the 14years since. The same ideology of the hijackers of 9-11-01 is the same ideology that threatens large swathes of the Middle East right now. It now goes by another name than it did in 2001, but it’s still pure evil and it has to be called out for what it is. Those people could have ignored what was happening before them that day, but it wouldn’t have done them any good…and if they had chosen to sit passively in their seats and accept what was happening, it wouldn’t have turned out any differently for them. On the other hand, but for their fearlessness in the face of terror, that day could have turned out much differently for a lot of other people.